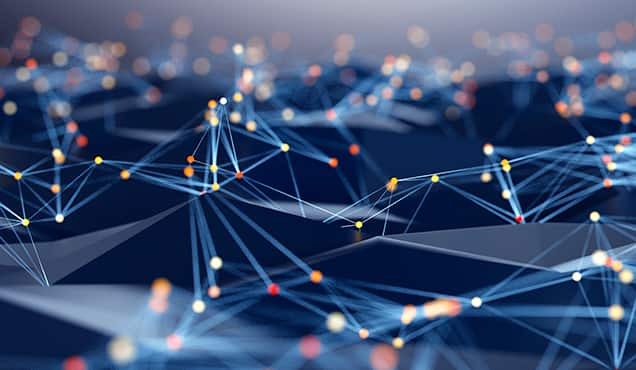 Earnings season can be a minefield for short sellers, with the known catalysts providing immediate feedback to a short thesis. 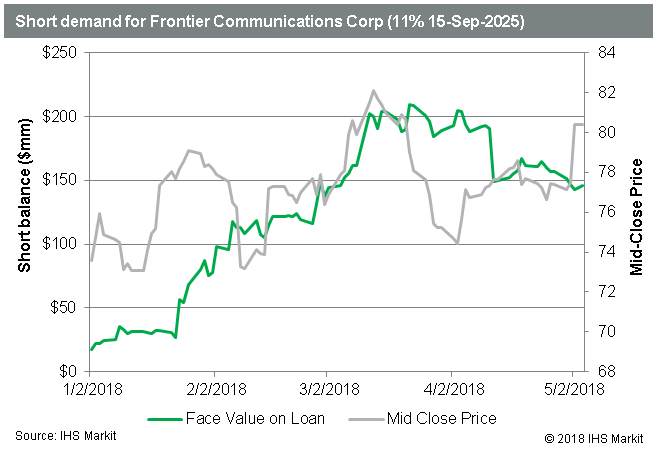 Witness Frontier Communications, whose shares have appreciated more than 40% since their earnings report on May 1st. 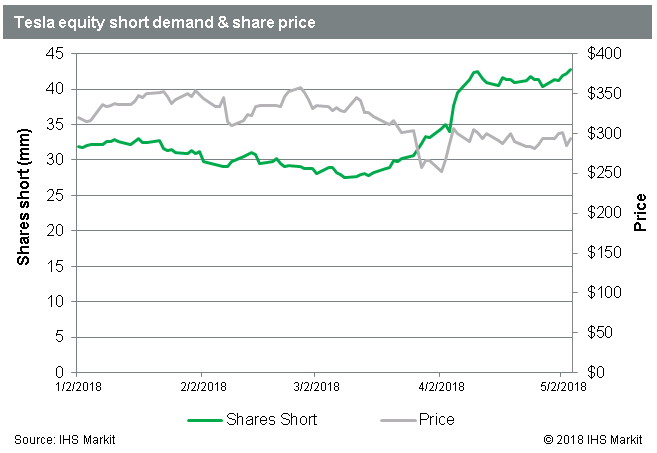 Coming into the numbers, there were 27m shares short, representing a 6m share decline from the 2018 high on April 3rd ─ and it’s worth noting that some portion of the short demand is used to hedge long positions elsewhere in the capital structure, including the convertible preferred shares. 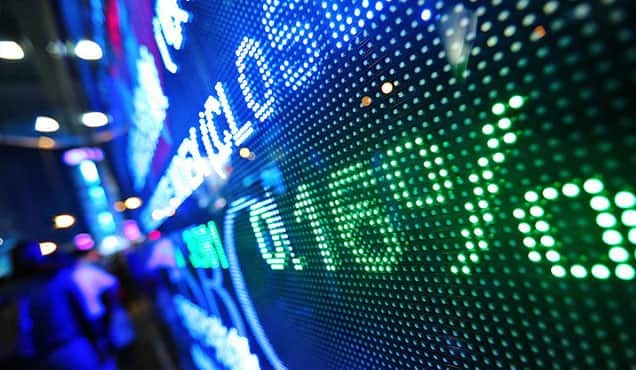 Following the report short sellers added 6.3m shares to the position, putting the total short back over 33m shares. Short sellers of the FTR 11% 2025 bonds also felt some pain, as the bond price recovered from a low of 76.63 (16.6%) to end the week at 80.38 (15.56%). The 11% 2025 bonds represent $145m dollars at par of a total short position of $730m in FTR bonds. 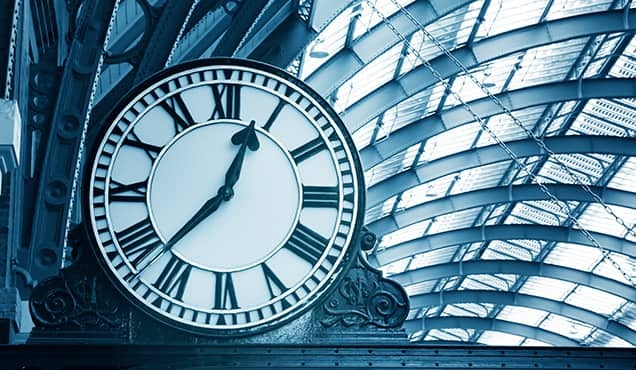 The largest short position in nominal terms is the FTR 8.5% 2026, which is currently at $166m, though the impact in the cash market was smaller as the bonds were trading closer to par having only been issued in March. 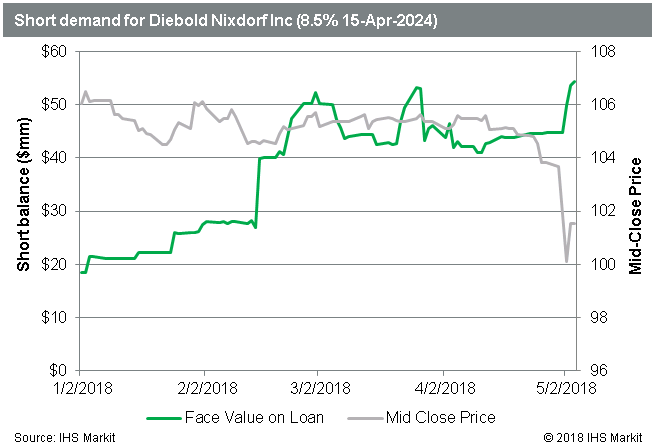 A bright spot for short sellers was ATM maker Diebold Nixdorf, whose Q1 loss, combined with the suspension of the dividend, caused investors to head for the exits. 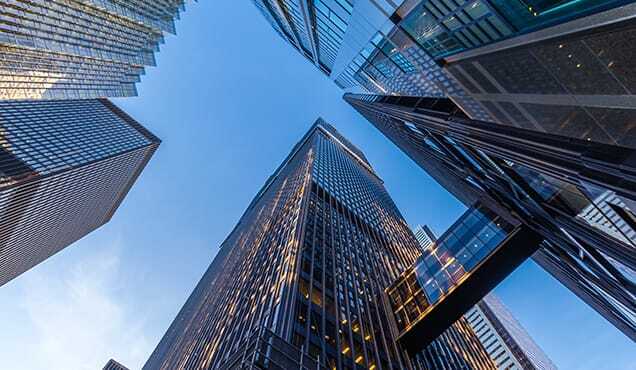 The shares have traded down more than 25% since they reported earnings on May 2nd, to the benefit of short sellers who had increased the total short position coming into the report by 35%, or 5.9m shares, since the start of 2018. 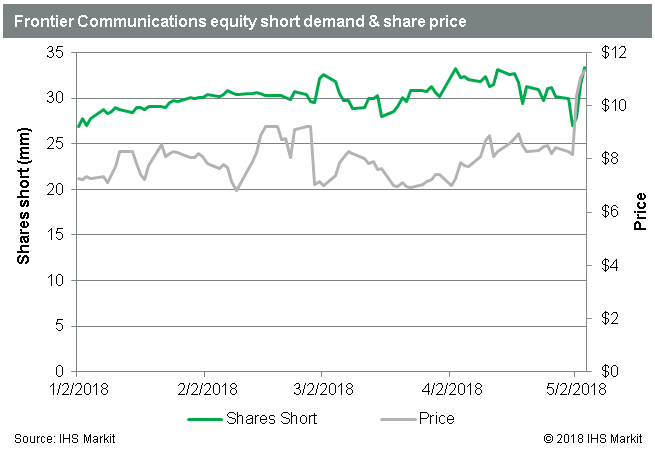 Short sellers are playing through the whistle, adding more than 1m shares to the short position after the earnings report. Short sellers of DBD 8.5% 2024 bonds also benefitted, with the bonds trading down near par at 100.13 (8.47%), down from a high 105.6 (7.33%) in mid-April. Short demand for the bonds has more than doubled since the start of 2018 and currently stands at $54m face value, up a further $5m since the earnings report. The much discussed Tesla earnings report and conference call certainly added to the volatility, though net impact was fairly muted, with shares ending the week barely changed from where they started. 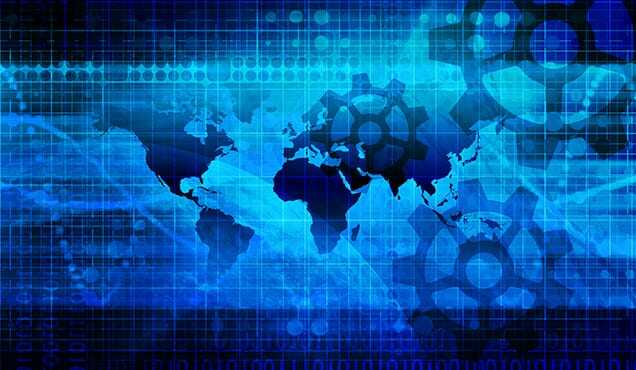 Short sellers have continued to increase bets against the firm, which currently total more than $12.6bn. 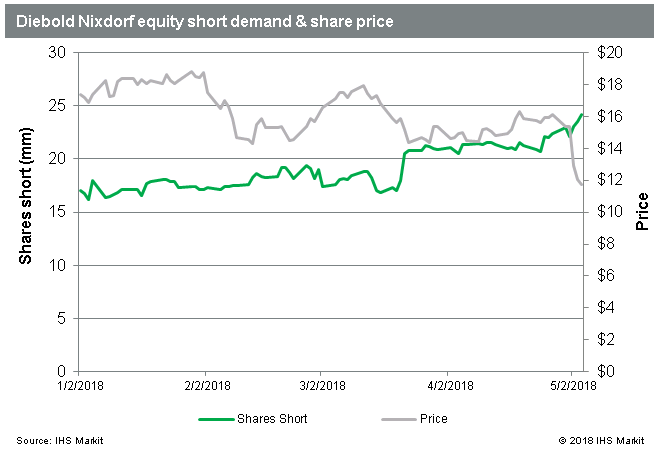 The short balance in dollar terms has increased 45% since the YTD low price observed April 2nd, resulting from both share price appreciation (16%) and an increase in shares shorted (24%). The borrow cost has continued to trend up, with substantial spikes around proxy record dates. 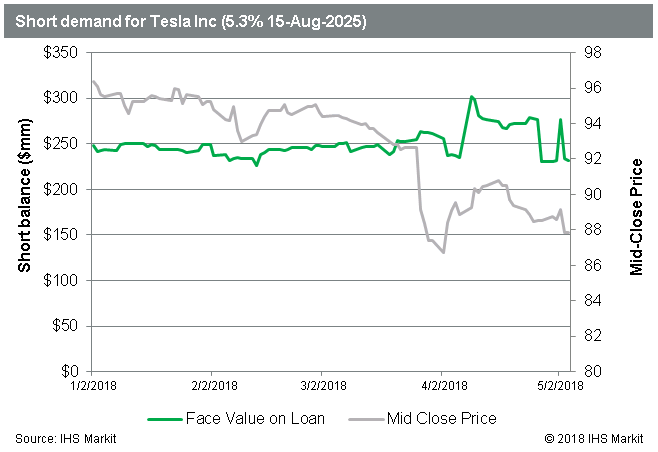 TSLA 5.3% 2025 bonds traded down after the report, however, like the equity, they currently trade above the low observed on April 2nd. 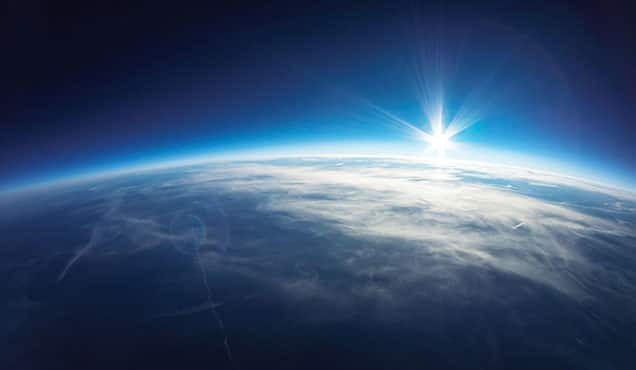 Generally speaking, short demand for the bonds has been constrained by the availability of lendable bonds from the banks, with the borrow fee on Friday hitting the highest mark observed since the bonds were issued in August 2017.